Beautify your office or living environment with custom wallpaper. YOTTA’s digital UV Wallpaper Printer allow you to print diverse patterns on various wallpapers with high resolution. Whether you want to print your own photos or other designs, our printing machines can reproduce all the details perfectly. With high speed printing capability, YOTTA’s digital wallpaper printing machine is suitable for short run production and batch printing production. YOTTA’s UV printing machine delivers lifelike 3D printing directly on a variety of materials, which can deliver a strong visual impact. It is suitable for various wallpaper materials. 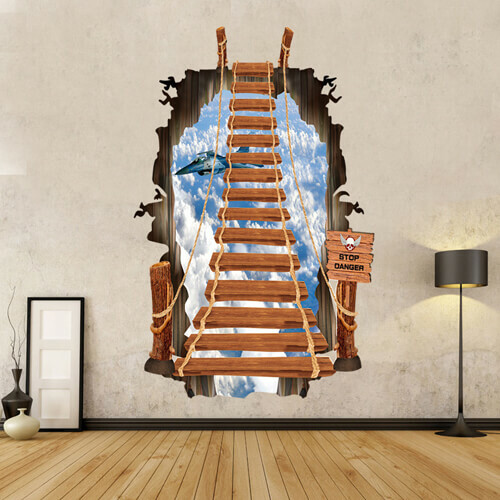 With different designs, you can customize your wallpapers to achieve visual spatial expansion, or build a specific theme environment, such as wallpaper with animal picture printed in children room, or custom wallpaper with 3D beach picture printed in shower room and more. 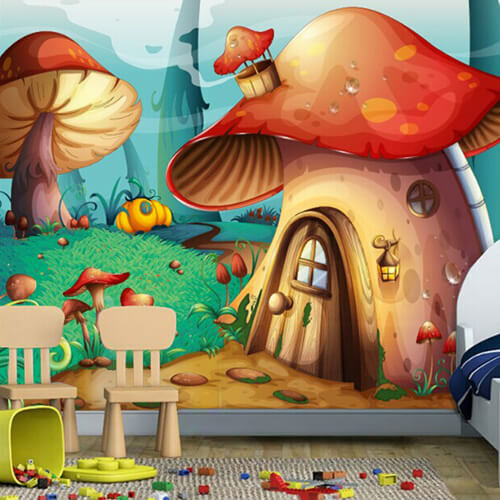 YOTTA’s digital wallpaper printing machine uses eco-friendly UV ink which is VOC free. 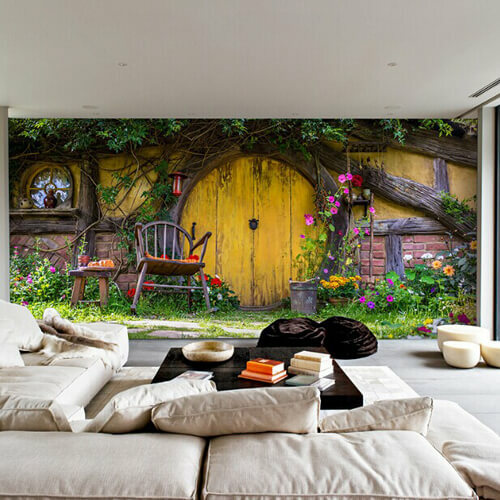 It delivers more environmentally friendly and healthy environment for the uses of wallpaper. 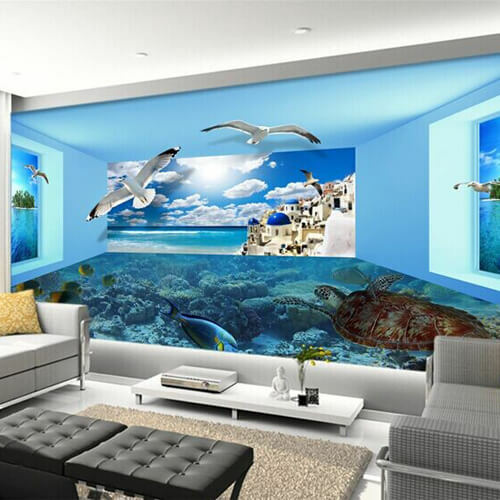 The printed wallpaper can be used for home decoration, commericial space, administrative space, entertainment space, etc. 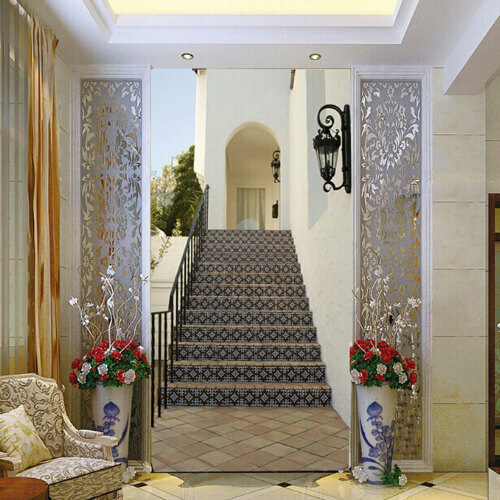 With industrial print head and LED-UV curing technology, YOTTA’s printers is able to direct print on wallpaper in high speed, and finish ink curing in a very short time.